Why going for a costly Power Bank to charge Mobile Phone? 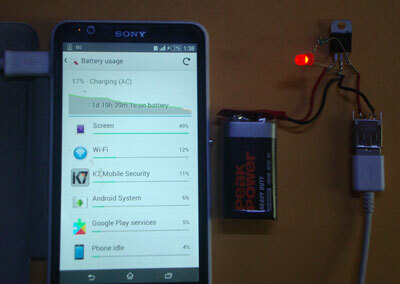 Just use a 9V battery and a few components to make a Portable Mobile charger. 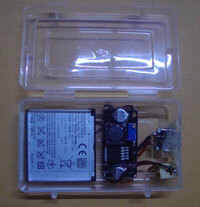 Its cost is just Rs.25 and if you use a Rechargeable 9V battery, it can be used up to three years. The Mobile phone battery is a high efficient long lasting Lithium Ion battery that has thousands of charge / discharge cycles. It requires 4 -6 volt DC for charging and the charging current can be between 200- 400 mA. We can drop the 9V from the battery to 6 volt using a Voltage regulator. That’s all. Make it and enjoy the satisfaction of a project building.